Elizabeth Masterson: How long was I out? Nurse Maria: Um, about six minutes. Elizabeth Masterson: Thanks, I'll be right there. Nurse Maria: OK, I'll be outside. A charming and sweet supernatural rom-com with two likable leads. A rom-com with a twist of the supernatural, which makes the story original. This movie plays wonderfully with the audience's expectations at whether Reese Witherspoon's character Elizabeth is real as her and David (played by Mark Ruffalo) try and figure out why he can only see her etc. There are a couple of good twists later on as they piece things together. Though on meeting they resent each other, they soon start to bond and the resentment turns into romance. The transition between dislike and love is handled extremely well at just the right pace making it believable. The script is surprisingly witty making it smart and the acting between Ruffalo and Witherspoon is really good with a lovely chemistry between them. 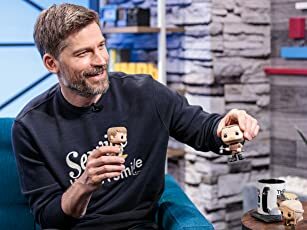 They are so likable particularly Witherspoon at the start, that you care deeply about them and just root for them to be together. This isn't really funny though I laughed a few times. It's more the comedy that makes you smile as it's charming. There are also some touching scenes as well that tug at the heartstrings but not in a way that's too sentimental like slush. In the end this was a lovely rom-com and even though this came out in 2005, after the recent ones I've seen at the cinema like The Bounty Hunter, The Proposal and The Ugly Truth (which were awful with leads that act sexist and immature and who you can't root for making it unlovable and not funny). 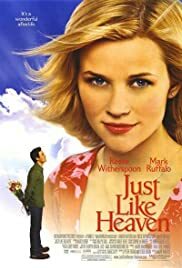 Just Like Heaven joins my list of others like Date Night, (500) Days of Summer and arguably the best ever rom-com Love Actually in the likable category. Enjoyable entertainment for it's length that puts a smile on your face. If you haven't seen this yet and want a good rom-com. I would recommend Just Like Heaven because I felt like I was on it with feeling happiness as I watched it. Just lovely.